A retail store without their own retail POS system or those using the old cash register is likely to struggle with their business ventures. They will have difficulty in managing their assets, stocks, inventory, employees and other important data and tasks. There is a solution for this, however, but it will take you a big amount of investment to cover these things up. One solution that you can hire a different person to do each work separately. You can also purchase different sets of hardware and software to do individual tasks like inventory, employee tracking, real time monitoring and other tasks. Aside from costly investment, redundancy and errors can ruin your business. There are might also be problems like inconsistency and mismatching errors. With this, you can constantly lose earnings because of the discrepancies. That’s where a retail POS system excels, managing all of your business’s sensitive data at once on an easy manner. Inventory – Check whether a certain product or item is already running low on stocks. This is a great feature to make sure that your customers will never run out of their favorite product. This is also an effective way to make sure that all of your products are on the right track. Employee Work hour – easily monitor your employees to prevent early time outs. You can also implement bonus and rewards to the most productive staff to make your employees work harder. Implement Discounts and Loyalty – with a POS system, you can easily implement discounts and loyalty points to your customers to keep them coming back. Prevent theft – with a retail POS system, you can easily prevent theft, as every transaction has to happen within the system. You can also bundle it with a CCTV security camera to ensure that your business establishment is safe. Aside from that, you can easily customize a POS system to perfectly suit to your business needs. By tailoring the POS system up to the last detail, you can easily maximize a POS system’s efficiency. 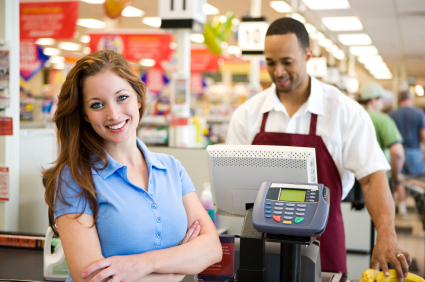 business point of sale system retail pos system solution what is a point of sale system?